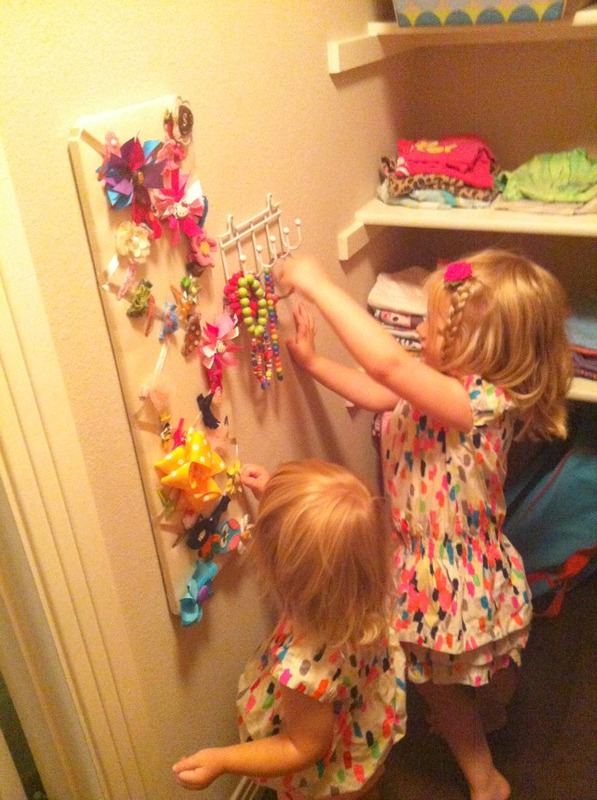 Yesterday, it seemed like everywhere I looked in our house there was a big mess. A typical occurrence with two preschoolers running rampant, but exacerbated by the fact that we are still in the midst of settling in to our new home. But then I stepped into the girls closet and felt better. At least there was one space in the house that was organized! 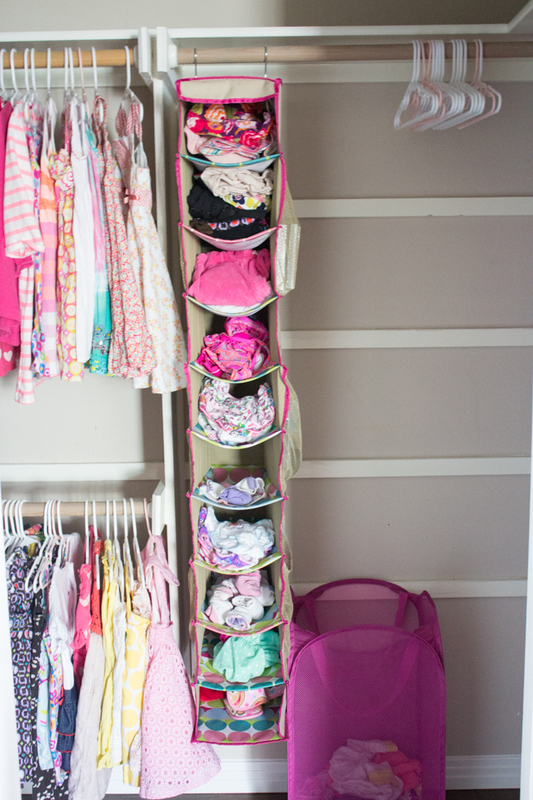 I made it a point to get their closet organized first in hopes that if it started out organized, there was a chance it would stay that way! 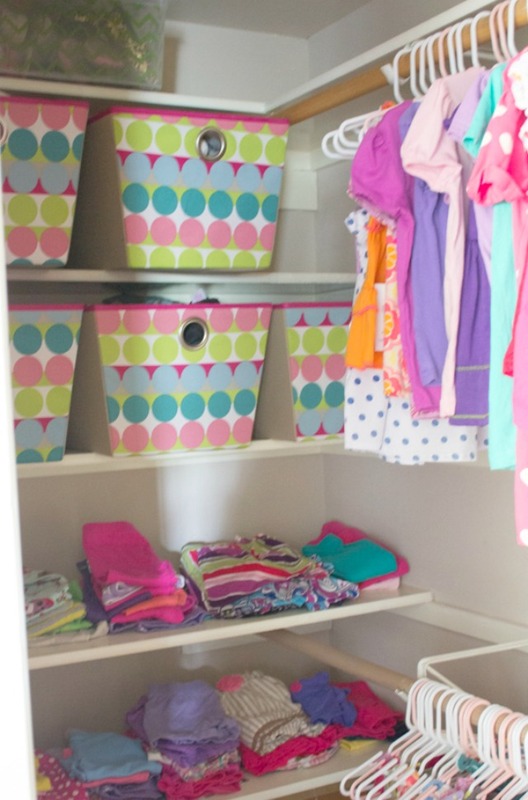 It helped that the closet offered plenty of space and several built-in shelves which eliminated the need for a dresser in their room. 4. 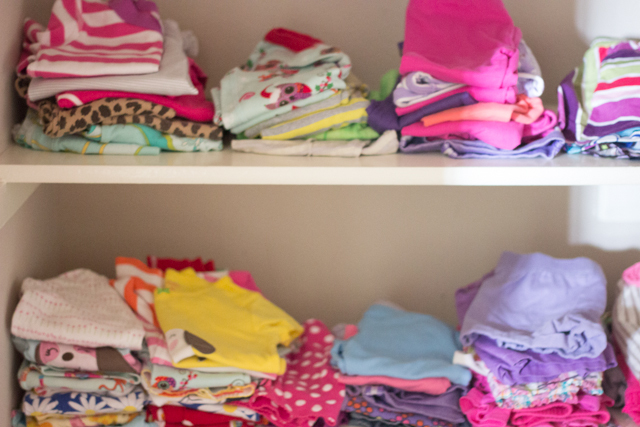 Make a bedtime routine basket – we give the girls a bath and then head to their room to get their pjs on and dry their hair. I have a little basket with their lotion, hair dryer, brush, etc. that I pull out of the closet for our bedtime routine. 5. 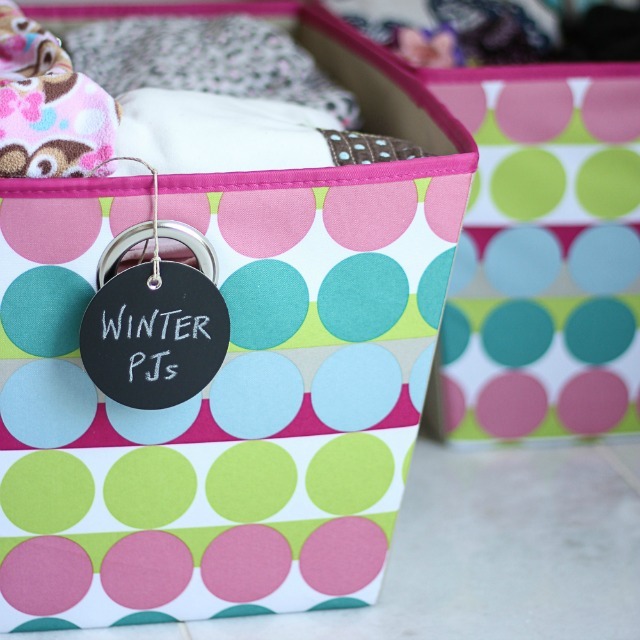 Baskets are great for out-of-season clothes – I use a set of 5 big baskets on the upper shelves with all their fall / winter clothes. I figured now that we’re down in San Antonio these will remain stored away for most of the year. 8. 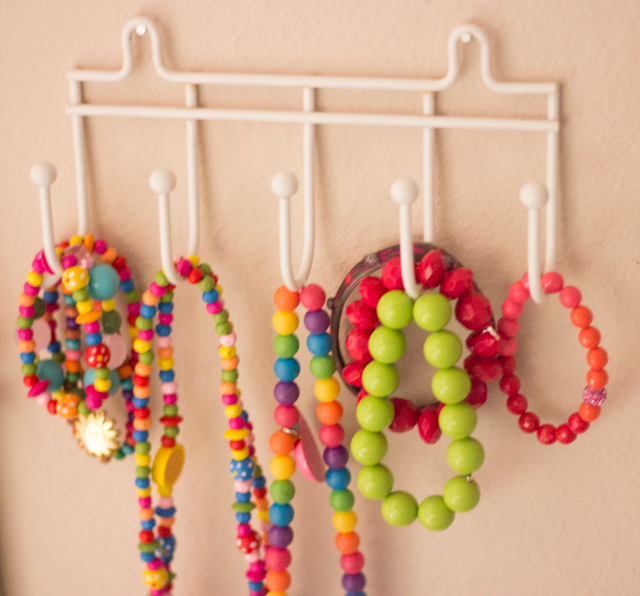 Use the same hangers for an instant upgrade – if you don’t do anything else in your closet, do this! Replace any wire hangers with nicer plastic ones. 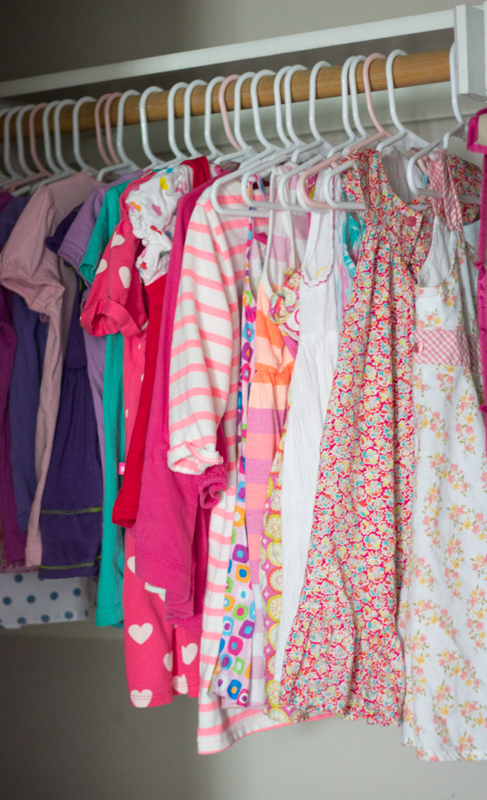 The girls have a mix of pink and white hangers. 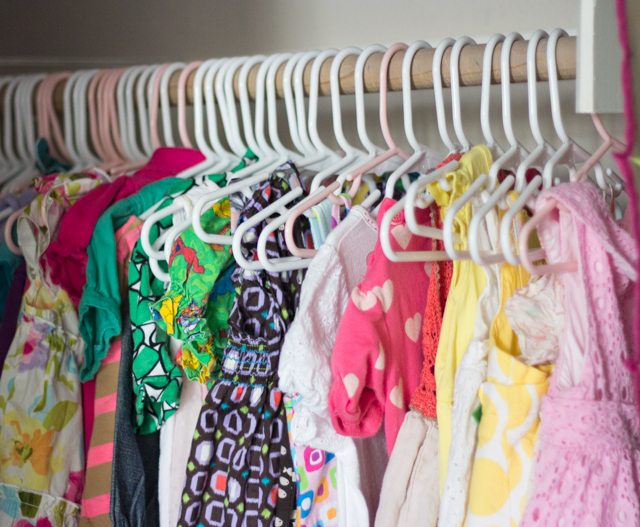 However using the same hanger throughout instantly makes your closet more organized. 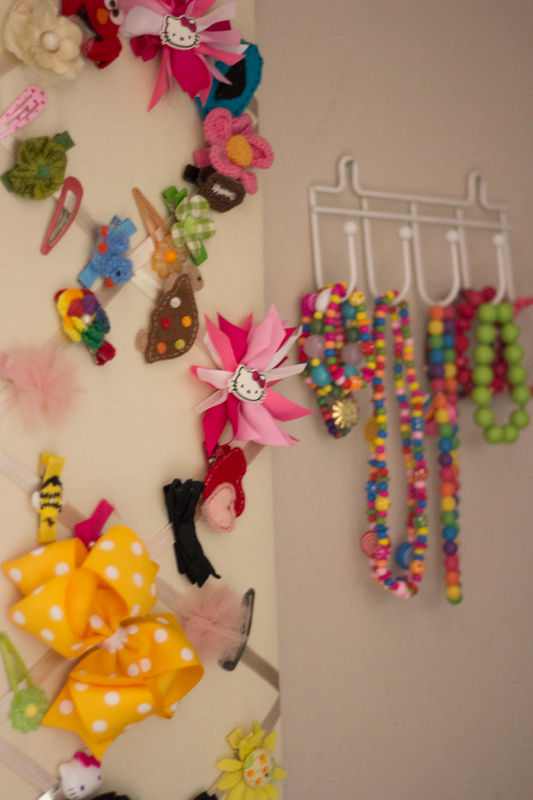 Next to tackle – the master bedroom closet which is currently a hot mess! 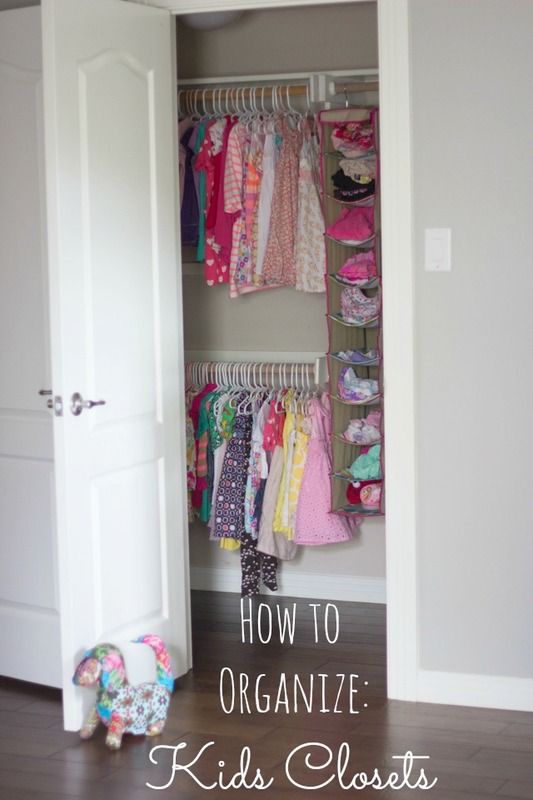 Eventually we’d like to get some closet organizers in there, but for now I hope to employ some of these same tips – and I want to hear yours! 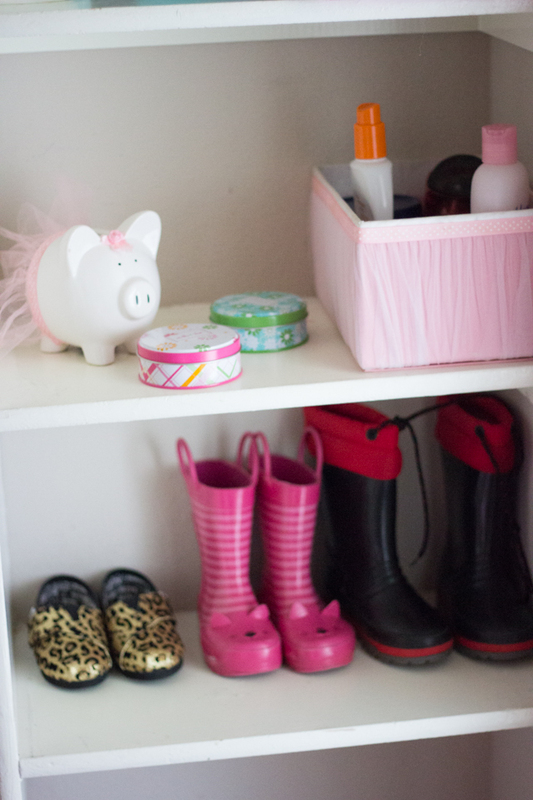 Want to check out the other closets I’ve organized? 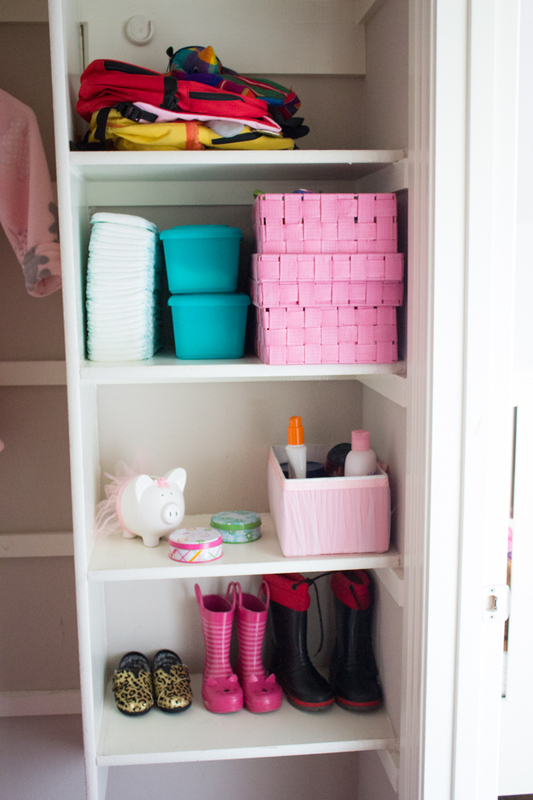 Check out our kitchen pantry and playroom closet! This post is sponsored by California Closets, a company I love! All content and opinions are that of my own.